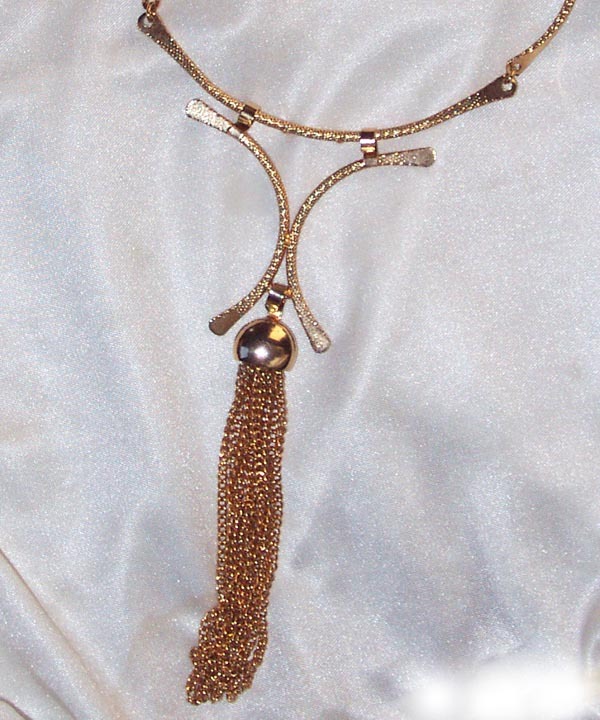 NECKLACE - SARAH COVENTRY. "CHINATOWN" FROM 1976. 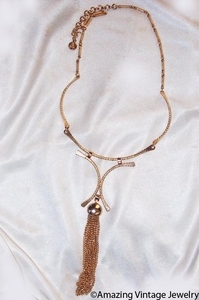 SHAPED, TEXTURED GOLDTONE SEGMENTS WITH GORGEOUS TASSEL DROP. ABOUT 19" LONG PLUS THE 5 5/8" "PENDANT" DROP. BEAUTIFUL PIECE AND HARD TO FIND WITH THE TASSEL STILL ATTACHED. VERY GOOD CONDITION.